When not long ago Mr. Obama said that Western sanctions had left Russia’s economy «in tatters» he probably was not aware of one congenital creed so very intrinsic to the country he has been provoking into war. Russians have one peculiar saying for hard times – «the worse it seems the better it is», meaning that deprivation fosters ingenuity. The tough present brings Russians a unique opportunity to temper the national character and master self-reliance, regardless of politics and whether one is for or against Putin. In fact, Russian president has recently marked utmost importance of reviving the national economy by means of inner resources: natural, human and technological. As Russian food becomes of equal strategic importance to Russian energy, the national food security will be bolstered by a number of opportune measures. Without much ado the government has banned both domestic cultivation and imports of GM products, the draft law awaits approval by the Russian Parliament. Apart from several cases in southern Russia when big agriholdings secretly planted GM corn and sunflower seeds (without approval of the government authorities), genetically modified seeds are not welcome in Russia. As prime minister Medvedev’s Cabinet has already suspended negotiations with foreign biotech companies (including Monsanto and Syngenta), the main focus remains on traditional sustainable agriculture, integrated with effective farming and processing facilities. The priority is set to enhance production of Russia’s traditional staple crops like wheat, rye and buckwheat both for local consumption and export demand. On entering the World Trade Organization, Russia was expected to allow genetically modified organisms (GMO) for food production and distribution within its market. 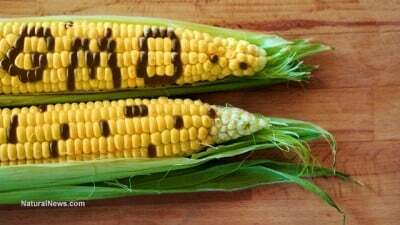 Vladimir Putin declared that the country would stay GMO-free without violating its obligations to the WTO. The main reason why the government is opposing incursion of GMO into the country is that Russia owns some of the most precious non-destroyed top soil on our planet and it is worth being maintained GMO-free, free from chemicals like Roundup or Atrazine, which are clandestine tools of ecological disaster. However, what can’t be underestimated is that Russia has a considerable export potential for staple crops, while a tremendous lack of organic food in the world is expected in the future. This article was written on February 15, 2015. Alex Levin, a Moscow-based international trade negotiator and investigative journalist.